Anyone that has lived in different places or states knows the vast difference in food from one region of the country to another. These differences in regional food becomes very apparent when you marry someone that grew up half way across the country from where you did. I was clueless about grits, black eyed peas, and southern cornbread until I got married. My husband was clueless about a few of the things that I grew up eating like northern cornbread, seafood on pizza, and the endless ways to cook a potato. One of the biggest differences we had was in how we ate our tuna fish sandwiches. And after seventeen years of marriage, neither one of us has adjusted to the way the other one eats a tuna fish sandwich. You see I grew up eating a lot of tuna sandwiches. Tuna was inexpensive and easy to make. I also grew up eating egg salad sandwiches. Again eggs were inexpensive and easy to make. I also grew up eating an occasionally chicken sandwich. However, my husband grew up eating his tuna and egg salad sandwiches totally different than I did. His family mixed them together. They did not eat just tuna sandwiches, or just egg salad sandwiches, they ate tuna salad sandwiches. They mixed the boiled eggs into the tuna and ate it all as one sandwich. They also did the same with chicken sandwiches. I had never heard of anyone mixing eggs into tuna sandwiches and my husband had never heard of not eating them this way. I am guessing this is a regional thing because we have both said that everyone we knew ate it our way? This is one area where I think he is a bit strange , and I will not eat it his way. And he thinks I am strange and prefers not to eat them my way. So, my question for you today is how do you eat your tuna fish sandwich? Do you eat your tuna and egg salad as separate kinds sandwiches or do you mix it all together and call it tuna salad sandwiches? And is this a regional thing? I have a friend that makes her’s with just tuna, dill seed, mayo..
OK, I was born, and for the most part raised in The Bay Area of California and I’ve never seen anyone mix the ingredients of a tuna salad sandwich and an egg salad sandwich, nor have those ingredients ever mixed with a chicken salad sandwich! I’ve never seen that in central Ohio where we now live either. I’d have to agree with you that your husbands way of eating those sandwiches is not appetizing, at all! Not only do I put egg in my tuna salad, I put mayo, hot mustard, dill relish, capers and olives. I also use the tuna that is packed in olive oil. WAY more flavor. My husband, who is not a huge tuna salad fan, absolutely LOVES my tuna salad. I have lived in Nashville, TN (my immediate family us also from Nashville) my entire life growing up we always ate tuna salad sandwiches. My husband is from Murfreesboro, TN and had never ate tuna salad sandwiches until we married. I think it varies by town, state, etc.. My paternal grandparents are from Michigan and ate tuna salad sandwiches. My other grandparents are from Nashville, TN and ate tuna salad sandwiches. My MIL is from Alabama and only ate tuna sandwiches and raised her children on just tuna sandwiches, my FIL was from Beech Grove, TN and ate tuna salad until marriage. We eat tuna salad sandwiches: tuna, eggs, onion, celery, pickles and mayo. My husband’s mother puts apples in hers, and it’s good, but I never make it that way. My mother puts it all in. Boiled egg, or leftover scrambled egg (yep), onion, pickles, green peppers, etc. I’m good at picking out green peppers and onions, so I was fine with hers. I’d never had egg salad until I was an adult, and am pretty sure it was a northerner who introduced me to it, so maybe it is regional. Personally, I’ve gone my own way and I make mine with tuna and ranch dressing, served on a saltine, with a single dill pickle slice on top. Delish! It began as a pregnancy obsession, but I still love it! I also mix tuna with ranch dressing and sometimes pickle relish and always eat it on saltines. No egg for me. 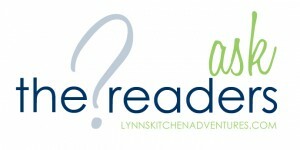 Love your blog and Lynn’s blog too!! I love new ideas. I am a grandmother of 3 and need to keep on my toes so these blogs keep me informed. I’ve never had an egg salad sandwich although I’ve thought about trying it because it sounds good. I make tuna by mixing tuna, mayo, dill pickles, and onion, although I have had it with egg mixed it but that’s rare. Sometimes I also add in some mustard, red peppers, and carrots for extra veggies. I grew up in SouthEastern Pennsylvania, and my mother wouldn’t consider making a tuna salad without hard boiled eggs. I like mine with just mayo but my mom used to add chopped apples. I have always had boiled eggs in my tuna salad. Grew up in Arkansas. I grew up in central Kentucky. I like my tuna with only miracle whip mixed in. But my parents, both also from Central Kentucky, and they both like their tuna sandwiches differently. My mom likes egg, my dad likes egg and all the other stuff like pickles, etc. Usually, my mom would just make a simple tuna salad (the way I like it) and then my parents would add their desired “toppings,” just like making your own tacos. My husband is from northeast Alabama and he likes tuna, mayonnaise, and dill pickle in his. Tuna salad for me. Raised in Missouri and now live in Southern OK and everyone I know makes it the same way, with eggs! I have lived all over the South, Midwest and even New England. I am with you Lynn – I have never heard of or eaten anything other than egg salad sandwiches or tuna sandwiches, definitely not mixed. Live and learn! Love your blog!! Raised in Michigan Tuna salad consisted of tuna, hard boiled eggs, mayo, salt and pepper. Egg salad was eggs, hard boiled eggs, pickles, a little mustard, mayo salt n pepper. I have a friend who is from Ohio and his mom put green olives and celery in her tuna salad.. best i have ever had to this day. I really should ask her exactly how she does it. And oh… the ‘mayo’ in ours was always really Miracle Whip. I don’t think I had mayo mayo until i was an adult. I used to put tomato slices on my grilled tuna, but when I didn’t have any tomatoes I tried adding Craisins. Now we always put Craisins in our tuna salad. Adds a bit of sweetness and texture. I grew up in Washington State, and my mom often fixed tuna salad with a hard boiled egg added. It made it go a long way, and that was very important with a large family and hard econcomic times. I live in Florida, and I’ve heard of tuna salad sandwiches, but I don’t know whether they include egg or not. I don’t really like tuna, so it hasn’t been something I pay attention to. Then again, I only just started liking very plain egg salad (and only with a tiny bit of mayo), so maybe it is time to give tuna another shot! I have always lived in MO. I eat my tuna sandwiches all kinds of ways…with just mayo or Miracle whip…with mayo, mustard, dill or sweet pickles, onions and boiled eggs…or any combination of the above. I also eat egg salad the same way…with any combination of mayo, mustard, pickles, onions, etc. Sometimes other things go into the mix, like celery, capers, chives, ranch dressing, etc. I wasn’t a reader when you posted about cornbread, but I like mine either way. I grew up on tuna with eggs, onions, mayo, mustard and pickles. My husband grew up on plain tuna, but after 20 years all over the world, he prefers it mixed with lots of yummy items. I am like my dad; if I eat tuna at all, I better not be able to taste the tuna. I add apples, celery and almonds on occasion. I have used ham, chicken and chopped beef instead of tuna. I grew up in Tennessee and have always loved my tuna salad sandwiches: tuna, hard boiled eggs, relish, mayo and mustard. Makes me want to go fix one now. Yum! In Texas it’s tuna, hard boiled eggs, relish, onion, Miracle Whip, mustard, maybe a little celery if we’ve got it. The perfect sandwich! I never considered putting it into a sandwich without making it into tuna salad first. I also use tuna as a protein in chef salad, just flake it on straight from the can (drained, of course). From Kansas, my mom always added hard-boiled eggs to our tuna salad. I don’t remember having egg salad sandwiches though. When I make tuna salad, it’s just tuna, mayo, mustard, garlic salt, and diced jalapenos. Separate sandwiches, please! I’m from Washington state. I grew up in Northwestern PA and we always had tuna salad sandwiches with egg in it. My favorite sandwich is to make egg salad and then put leftover turkey breast on top of it. Yum! We eat tuna sandwiches with an egg or two in with the can of tuna. My tuna is mixed with mayo, sweet pickle chipped up and an egg. (chicken also) Sometimes I add raisins or apples to my tuna sandwiches. 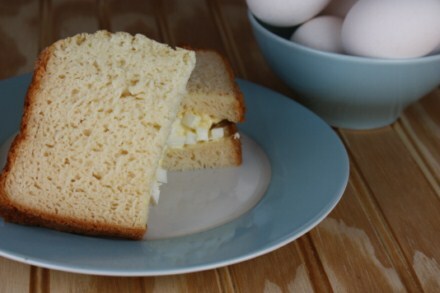 Egg salad sandwiches same basic ingredients. I had one student who brought the pouches of tuna to school just about every day. That was in 5th grade, she is a senior now and I asked, she is still eating tuna daily. Being from Texas, I’ve always used tuna, hard boiled egg, relish, celery and onion with mayo. What also is good that my mother did while growing up was to mix a little cream cheese in the mayo. Yummy! Born and raised in Michigan. Tuna salad for us meant tuna, mayo or Miracle Whip, onions, peas, salt and pepper, and ELBOW NOODLES mixed together, not on a sandwich 😉 We eat our egg salad sandwiches and our tuna fish sandwiches separate. I’m with you, Lynn, putting them together doesn’t sound too appealing. I have always had tuna fish with mayo, onions, celery, relish, and sometimes cubed cheese. and egg salad with boiled eggs and mayo, salt and pepper. I do know though that alot of Amish recipes have eggs in their tuna and chicken salad. Also, back in the day when people raised their own chickens they sometimes had an overabudance of eggs and would use them in alot of things that we don’t. Waste not want not!!! There’s tuna salad without eggs? Seriously? I grew up all over the country (with the exception of New England) and I’ve never run across people who didn’t eat their tuna with eggs unless they were allergic to eggs. I grew up eating tuna with boiled egg, pickles and mayo. As an adult, I like to just open a can and add mayo, but my family likes it with the boiled egg, pickles, mayo and sometimes olives. I will occasionally add apples to it also. I’m from the south, so maybe this is a regional thing! I make tuna sandwiches using good-quality canned tuna, must be tuna steak- not flaked tuna. I mix it with mayonnaise, chopped red onion, oregano, sweetcorn, and a little salt and pepper. I always use wholemeal bread and when my children have friends around, they always ask me to make them! Egg sandwiches are a totally different thing, and I add chopped boiled eggs to mayonnaise, chopped onion and dill. They’ve got to be served chilled and the bread again has to be wholemeal! I have a picky bunch here!! I grew up in Minnesota, and we never mixed the tuna and hard-boiled eggs; we called them tuna salad and egg salad. I don’t recall if we used pickle (probably not) or celery in either of them, but I don’t now when I make my own. Then again, I might add some sliced black olive to either, or teesy dice of swiss cheese to the egg salad. I was born in Kansas and raised in NC and MS but my mom was born and raised in OR and she always made tuna sandwiches with tuna, egg, sweet relish, mayo, s&p. Delicious! Probably my favorite sandwich. She caters and is absolutely famous for her chicken salad and it is chicken, egg, relish, grapes, apples, mayo, and a secret ingredient…Fabulous! I hail out of South Alabama, and we eat our tuna sandwiches with mayo, relish, egg, and I love to put either red or cayenne pepper in mine to spice it up! Ha, NW Indiana girl here, and Hubby is a Northern MI boy, so you’d think we were the same right? Nope. I put in miracle whip (no longer, ick), shredded eggs, diced onions, diced carrots, celery and a touch of relish with a touch of mustard (how my grandma taught me) … I think because the men were all steel mill workers, the woman wanted to make the tuna hardier than just plain ole tuna, you know? Hubby freaks when I add a hard boiled egg, shredded to it. He does admit it changes it up a little, but don’t do it every time 🙂 Funny. I think it is more what you grew up with rather than your part of the country and then it comes down to preferences. I’ve lived in IA, NE, FL and TX and have had friends all those places that made tuna salad similar to mine or a whole other creation. Our family goes for tuna, eggs, onion, sweet pickle and miracle whip. Did anyone say delish? I grew up in southeast Alabama and ate tuna sandwiches straight up. Now, living in central Alabama, I don’t know ANYone that eats tuna sandwiches this way– it’s tuna salad all the way. I like both, but still prefer the sandwiches of my childhood! I put eggs in my tuna salad and I’m in central Indiana. My husband grew up in Florida and he also likes egg in his tuna salad. Here’s where we differ: In my book, eggs do NOT go in chicken salad. ICK! Chicken salad has mayo, apples, walnuts, onion, and maybe a little dill. I’m so amused by this post. mayo, water chestnut, shredded carrots, and then adds mayo. I like to add a dash of cayenne pepper and a pinch of sugar to mine for a little added heat and sweetness. We now live in Tenn., I’m going to have to investagate how the residents here like their tuna and chicken salad. I guess I know what I’m having for lunch today. Yes I eat my tuna sandwiches with eggs! I am from the south, so maybe it’s a southern thing…but we use miracle whip,sweet pickle relish,mustard,onion,chopped celery and hard boiled eggs…mix it all up! Ummmm good! I def need some egg when I make the tuna salad sandwich. Seems rathe rbland and plain to just have tuna I also add sweet relish, pepper, onions, mayo along with the tuna. And I love cheese added onto the sandwich for a tuna melt. Plain tuna and mayo would be very ….well plain! We enjoy eating our tunafish mixed with shredded cheese, chopped up pecans or walnuts and with sweet pickles before adding some of the pickle juice and then Miracle Whip.